Classic Shell • View topic - [REQUEST] Mac Skin? If you want something else entirely, I've got no idea what it would look like. Maybe a polished silver background with an apple logo 'embedded' into it? Ok, next question(s): plain/shiny/textured, and flat or 3d? In my opinion something like this with a nice metallic texture might look good. Are you using the windows 7 style, classic, or classic with 2 columns? Will you be using icons? Well, I tried. Is this anything akin to what you're looking for? I'm not an Apple user myself, so I apologize if it doesn't quite match the look or feel. If you have any suggestions, I'll see what I can do. There are a few minor bugs, such as the fact that the caption just won't go away for some reason, but AFAIK it's usable. Also, I tried to add 2-column support, but that didn't end well IMO. You need to see for yourself. Sorry for not replying so long. @SplitWires I like it, the only problem is, I'm confused on how to get that ICO working. In my opinion something like this with a nice metallic texture might look good. A: That with a more rounded edge on the top would look nice. Also because I'm not going to be including all the options a standard skin has (because that takes more time) I would like to know a few pre-sets. #10 for texture and logo. You must be the first person who ever did not want icons. 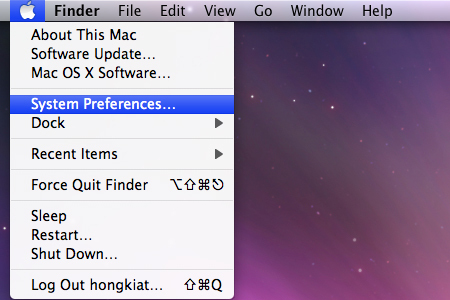 That is very easy to turn off in Classic Shell menu settings, under the "Menu look" tab. Now there won't be any icons on main, or submenus, on any skin. but Splitwirez one looks quite Applelish for the mean time. Just needs font changed to semibold, and the split button fixed. There are a few minor bugs, such as the fact that the caption just won't go away for some reason, but AFAIK it's usable. Also, I tried to add 2-column support, but that didn't end well IMO. I didn't even notice the caption was showing until now, cuz of my bad eyes. It was because the slices needed to be under a two column header thingy. For single column without caption, the slices need the 0,0,0, at the start to tell CSM to turn off caption. I fixed the minor bugs in your skin, and shrunk the file. I included the bold Lucida Grande font in the zip. My system font folder never had it. It looks so anti MS, when the icons are turned off in CSM settings. Good job on your unique border. Let me know if I'm overstepping, and I will delete it. But thanks for changing dem fonts there.